Lynda Dyer has been appointed Advisory and Book Review Board Member of Bestselling Authors International Organization. 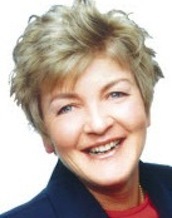 Lynda Dyer is a Multiple #1 International Best-Selling Author from Australia. Lynda is one of the 58 people from around the world filmed for The Secret, because she applies her material to her life and cured herself of Lupus. She is a Certified Professional Trainer in Neuro Linguistic Programming (NLP) and is an international speaker, author, and transformational coach. Lynda assisted the earthquake victims in China by writing and translating 5,000 copies of her best-selling book, Good Grief, and delivering them personally. She is a regular cast member on the Living Consciously TV show and is a co-writer of the bestsellers: Wounded? Survive! Thrive!! !, Ready, Aim, Influence! and Ready, Aim, Inspire! Her amazing stories will evoke joy and tears. She travels the globe as an inspiration to many around the world with her passion and zest for empowering others to be more. Bert Martinez is Co-Author of Expert Insights Publishing New #1 Bestseller Book, Ready, Aim, Inspire! Expert Insights Publishing is proud to announce Bert Martinez, Marketing Thought Leader and Expert is Co-Author in New #1 International Best-Selling Book, Ready, Aim, Inspire! 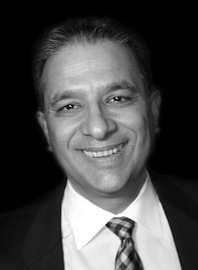 Bert Martinez is a world-recognized thought leader in marketing, business development, and publicity. Bert’s acumen as a marketing and business expert is grounded in more than 30 years of advising individuals and large enterprises on business and business development in both routine situations and those that are really challenged with risk and high stakes. His practice specializes in teaching organizations about consumer buying philosophy, the latest trends, and how they’re applied to marketing, publicity, and business development. Beth McBlain has been appointed Advisory and Book Review Board Member of Bestselling Authors International Organization. Beth McBlain is a #1 International Bestselling Author from Canada. A successful television producer, magazine and book editor, Beth turned her focus to studying the psychology of personal development and the healing arts several years ago. Influenced by teachers such as Don Miguel Ruiz and Louise Hay, Beth has worked with an elite field of mentors that include Anthony Robbins, Robin Sharma, Lynda Dyer, and Jack Canfield, to name a few. In her book, Trigger Your Happy, Beth incorporates her unique perspective on how to bring life into balance using a number of modalities including chakra, Meridian alignment, yoga, Reiki, meditation, and other energy-balancing and healing approaches. With a degree in psychology and music, Beth is a passionate philanthropist who has spent a lifetime both seeking and sharing ways to live an authentic life. Ready, Aim, Influence! and Beyond Your Book win prestigious eLit Book Awards! Just returned home from a wonderful 2 weeks of amazing events to find that our Bestsellers, Ready, Aim, Influence! and Beyond Your Book won prestigious eLit Book Awards for Literary Excellence. Congratulations to our amazing co-authors and contributors! 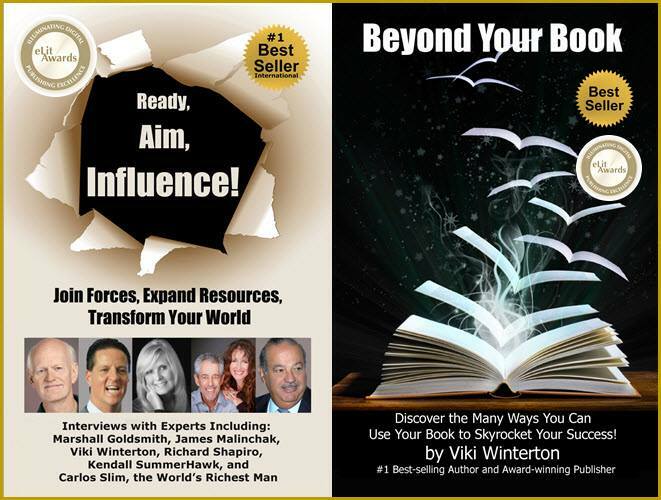 Tags: Beyond Your Book, eLit Book Awards, Expert Insights Publishing, Ready Aim Influence! TR Garland has been appointed Advisory and Book Review Board Member of Bestselling Authors International Organization. TR Garland is the #1 Best-Selling Author of Building The Ultimate Network from CA, USA. In a world where relationships are the new currency, TR helps small business owners and entrepreneurs fill their pipelines week after week and grow their business by referral. His clients regularly report that they DOUBLE (if not TRIPLE) the number of referrals they receive within 90 days of working with him. 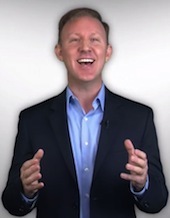 TR’s clients are typically Speakers, Authors, and Coaches and he helps them identify and attract ideal strategic relationships that help them (1) Fill Their Funnels (2) Fill Their Workshops (3) Grow Their Lists (4) Get More Speaking Gigs and (5) Get Referred More High-End Clients. Even though TR Garland was honored with the Wall Street Journal Award in the field of business; and even though TR Garland was honored in INC. Magazine as one of America’s Premier Experts, he is greatly admired for his authenticity and approachability – which translates into an undisputable connection with his audience. Terry Zweifel has been appointed Advisory and Book Review Board Member of Bestselling Authors International Organization. 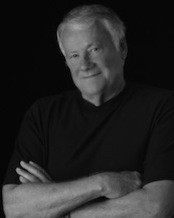 Terry Zweifel is a #1 International Best-Selling, Award-Winning Author from Mexico. Terry is a leading expert in innovative aerospace design for major defense and commercial aircraft, including the Lockheed Skunk Works on the SR-71 and programs with NASA. A Senior Engineering Fellow with Honeywell, Terry is the inventor that major aviation companies seek for advanced product development. With twenty-three patents to his credit, Terry has led teams and spearheaded some of the major programs that are making air travel safer for the world. Sue Guiher has been appointed Advisory and Book Review Board Member of Bestselling Authors International Organization. Sue Guiher is Founder and President of Thrive for Success, LLC, a personal and business development firm based in Bucks County, PA. She is an energetic and personable coach, trainer, facilitator who provides the support, training, coaching, and motivation for the leader who is an entrepreneur, owner of a small business or on the leadership team of an organization. Sue specializes in creating strategies with business owners,executives and their staff to create success within the organization. Her passion is to train people to understand and use their unique personalities, skills, and experiences to grow thriving businesses and live thriving lives. Through Keynotes, speaking, facilitation and individually tailored training sessions and workshops, she helps companies and their leadership/management teams Grow, Flourish and Thrive. Sue is a respected leader in the coaching community, having served as President of Philadelphia chapter of the ICF, as a founding member of Coachville and as a Founding Board Certified Coach (BCC). She has multiple coaching certifications including being an IAC Certified Coach and the first female Elite Certified Book Yourself Solid Coach. She is the Author of several books including Stop Spinning Plates: How to Lose Your Balance and Become A Thriving Mother as well as Ready, Aim, Excel! and Ready, Aim, Captivate! Sue teaches numerous Communication classes at The Wharton School, University of Pennsylvania; consistently receiving the highest evaluations from colleagues and students.